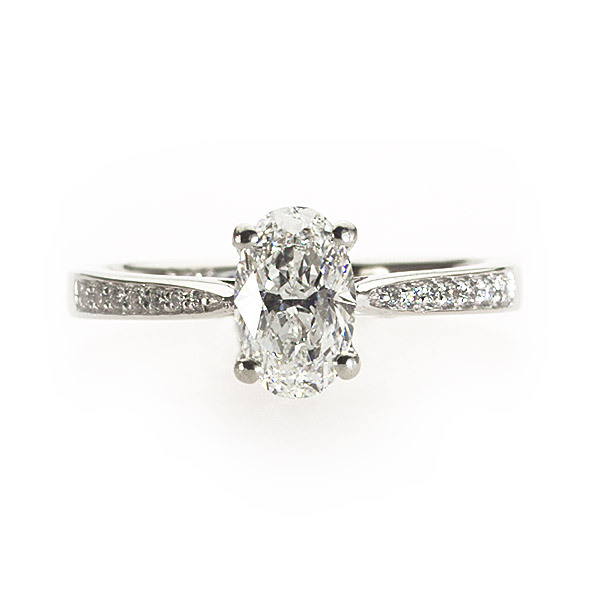 This elegant ring features a dazzling oval shaped diamond. The sleek band has brilliant diamonds set in a beaded, pavé setting which gently curve in a delicate slim taper leading up to the main diamond, accentuating the length of the shape, slimming the finger. If you wish, you can alter this design to work with the diamond shape of your choosing and like all of my rings, this can be made for you in any diamond size, any finger size and any metal.